Former Seattle Times photographer Barbara Kinney has done photojournalism far and wide for over twenty-five years. Besides numerous news organizations, her work has included a number of stints with Bill and Hillary Rodham Clinton. She was an official photographer during his presidency, and then was the official photographer for her presidential campaigns in both 2008 and 2016. 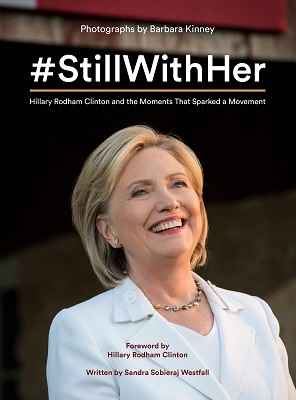 Her new book, #Stillwithher (PSG Wire) is a record of that effort, with a foreword by Secretary Clinton, and written contributions from Sybrina Fulton, Jamie Lee Curtis, Michelle Kwan, Cecile Richards, and others. Barbara Kinney will be joined tonight by former Seattle Times colleague Florangela Davila, now managing editor at Crosscut.